C346 'M.K.B. Kerbonn'. K.V.Gruppe Camaret, Brittany. French Battery Souterraine. C346 'M.K.B. Kerbonn'. Souterraine. Plan of the Souterraine. 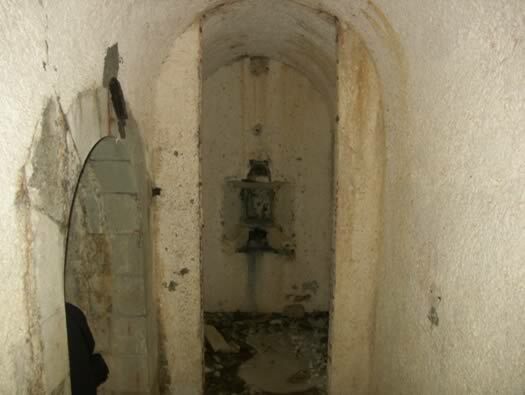 The French batterie had its ammunition, powder & shot kept in underground storage (yellow). 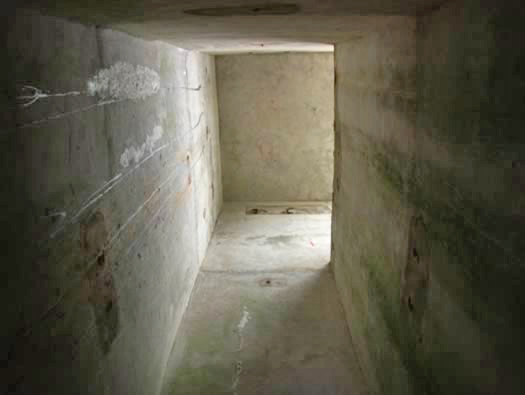 A sloping roadway ran down to a tunnel with storage rooms. 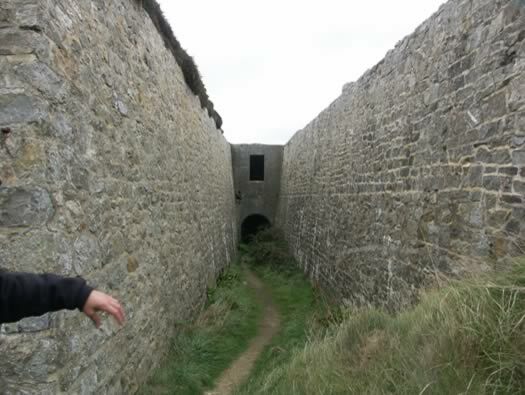 Then the ammunition could be collected when needed and taken via an aerial rail system to a lift coming out by the gun line and then another narrow gauge hand pushed railway delivered the ammunition to each of the three guns. C346 'M.K.B. Kerbonn'. Souterraine. The Sloping Roadway. Probably the ammunition would be delivered by horse and wagon. C346 'M.K.B. Kerbonn'. Souterraine. Entering the tunnel. Half way down the tunnel with the iron fittings in the roof for the aerial railway. 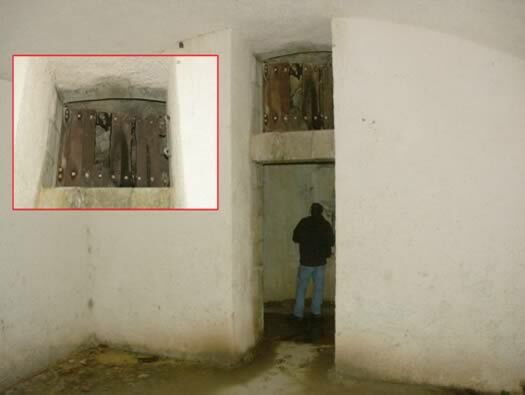 These are picture from the Maginot Line in the Lorraine area of France. 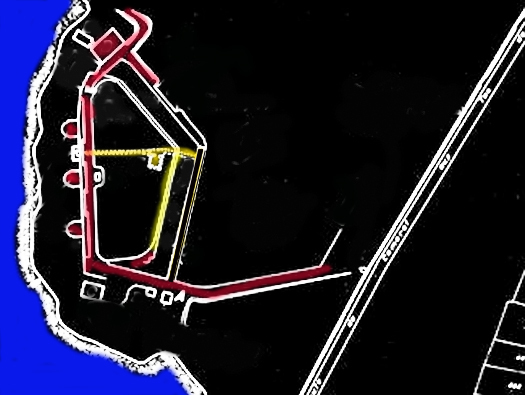 The red circle is the aerial railway and the yellow square the ammunition carrying cage. C346 'M.K.B. Kerbonn'. Souterraine. Bottom of the tunnel. On the left a small room. C346 'M.K.B. Kerbonn'. Souterraine. 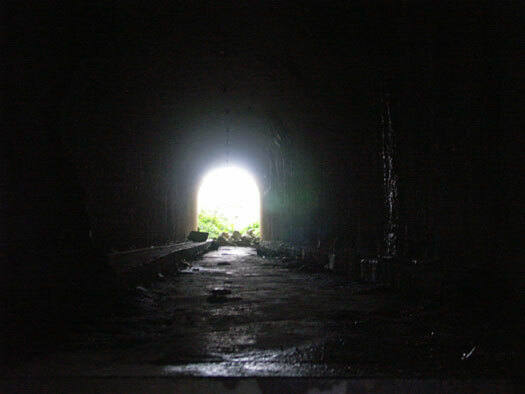 Continuation of the tunnel. This part is just rock hewn out of the rock and looks unfinished, I think this continues on and comes out on the far side of the battery. C346 'M.K.B. Kerbonn'. Souterraine. Casemate for ammunition and tunnel to the guns. 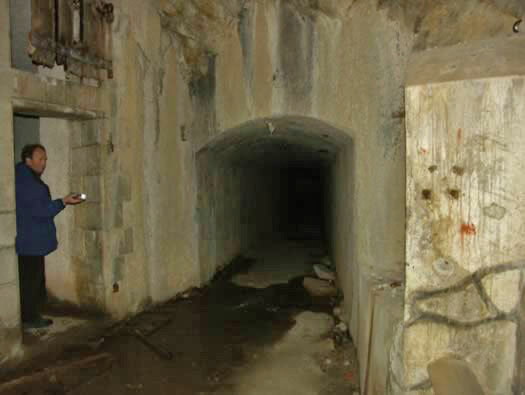 Ammunition casemate on the left and the tunnel to the gun line. C346 'M.K.B. Kerbonn'. Souterraine. Ammunition casemate. A large room with a wooden air vent above the door. C346 'M.K.B. Kerbonn'. Souterraine. 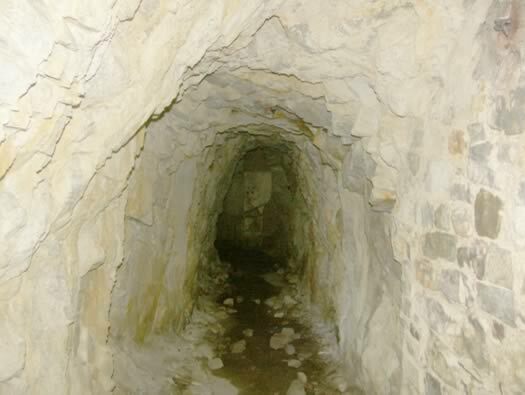 Tunnel to the gun line. C346 'M.K.B. Kerbonn'. Souterraine. End of the tunnel. Looking up at vertical shaft. The ammunition would have been hoisted up to the gun line above. C346 'M.K.B. Kerbonn'. Souterraine. The way out. 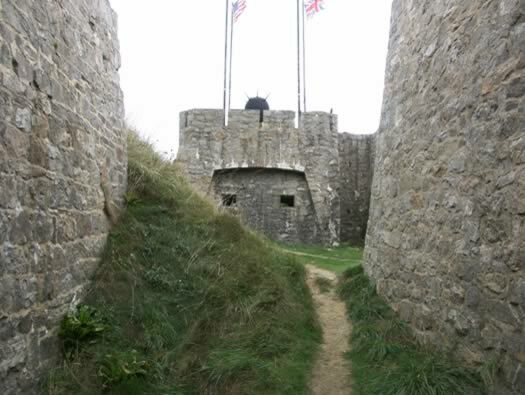 A small fort covering the tunnel entrance.